World of Amulets: Worth not? Haha...some of you know that I am crazy about watches...recently traded my l.p. thuat. 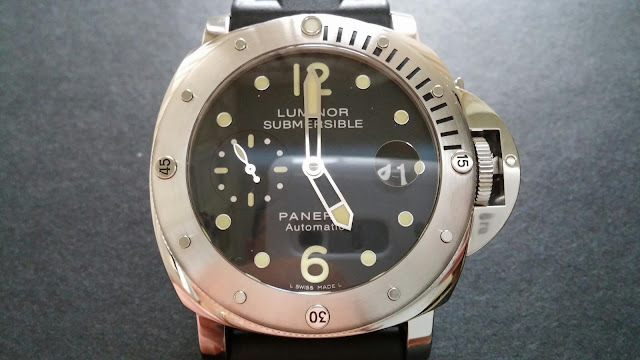 Wat changhai 2505 taulit with this Panerai luminor submersible...haha...the watch is about s$11,000 at retail. 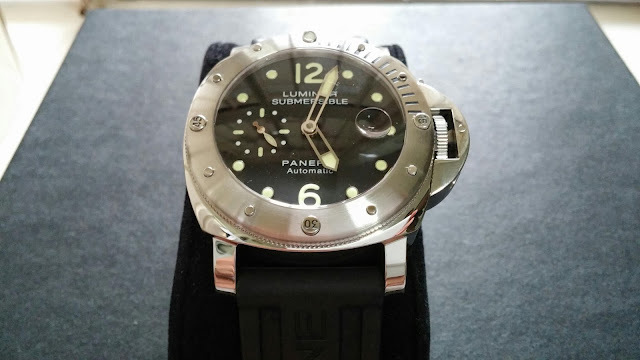 Just to share some joy..for my new watch collection. N also sorrow for departing with my taulit. .